Introducing the Sony Vaio VGN UX50 micro PC launched by Sony Corporation. This amazing PC has unique stylish design and eye catching functionality. Don’t go upon its size because it has bundle of outstanding features which makes it simply irresistible for the buyers! The Sony Vaio VGN UX50 weighs only 520 grams and has a brilliant display screen of 4.5 inches with a resolution of 1024 x 600. 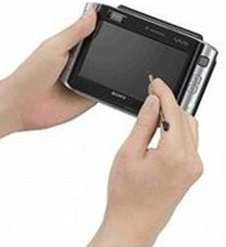 Sony Vaio VGN UX 50 measures only 150mm x 94mm x 32 mm which makes it easy to fit in your hands. It has a brilliant battery backup of 3.5 hours and with additional batteries you can increase its battery backup for up to 7 hours. An unbelievable feature of this handy PC is that it takes only 5 seconds of booting time which is much faster and better than other Sony notebooks. Besides the 4.5″ touch panel it has a CF card slot and a finger print scanner for additional security. Wow, Sony has certainly made a big revolution in the history of computers. 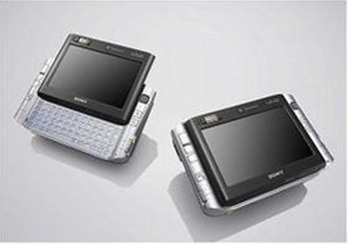 This irresistible gadget will shoot the market from July 2009 and will cost round $1,800.